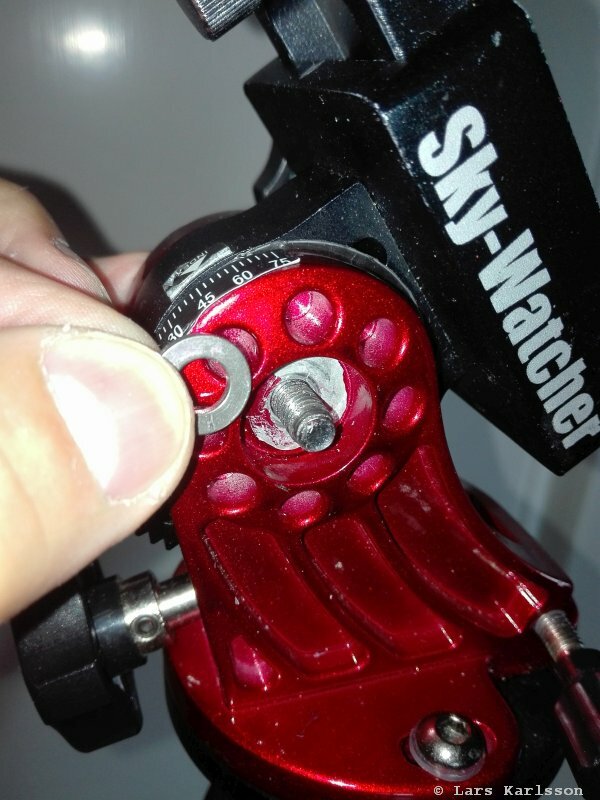 Maybe others than me have noticed some problem with the Star Adventurer's wedge. I can't lock it hard enough in altitude to not slip. If I screw the locking mechanism harder I feel I will brake something. When examining the construction I notice that the play / gap is too big. 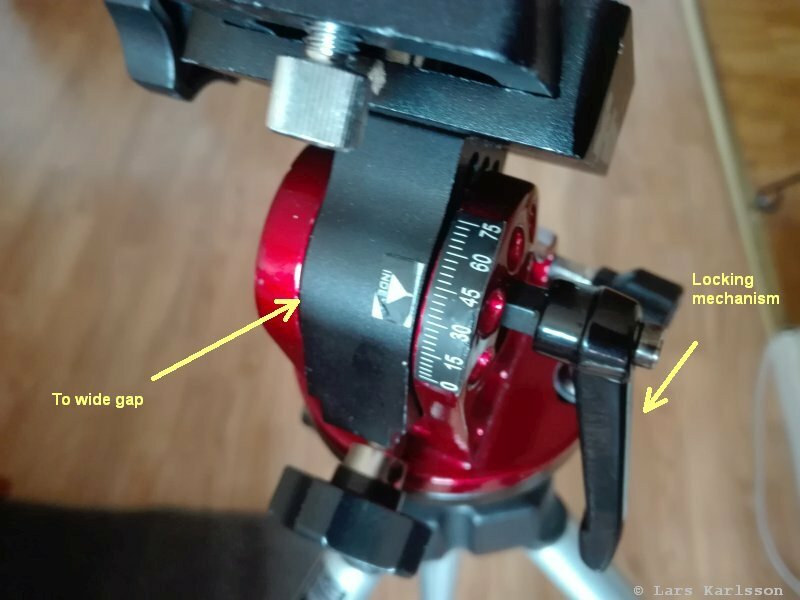 The chassis (the red part) is too stiff to bend when tighten the locking mechanism. I can't get friction enough to lock it safely. When disassembling the wedge it look like this. There are two big Teflon plastic washers, the axial play is dependent of the thickness of these two. Teflon has very low friction, maybe one part of the problem. I made a new washer, the black one above, it's a bit thicker and it also has a bit higher friction what I can feel. 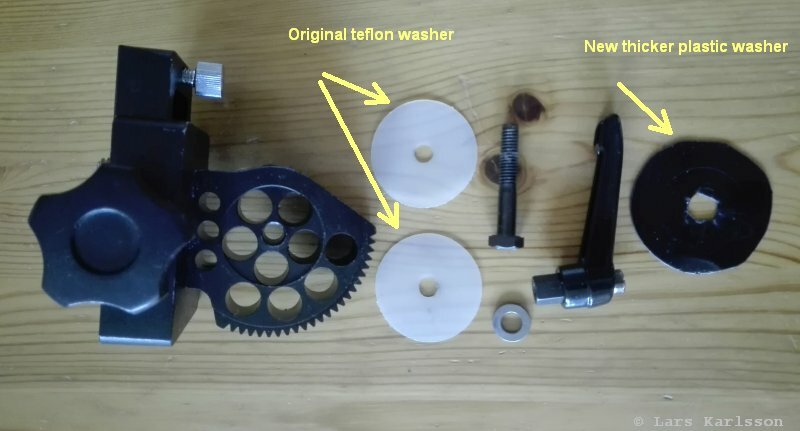 It was not possible to have both the two old white Teflon washers and the new black washer in place at the same time. I kept one white and then the new black one. You have to test when the thickness is enough. Don't forget the metal washer when assembling it together again. 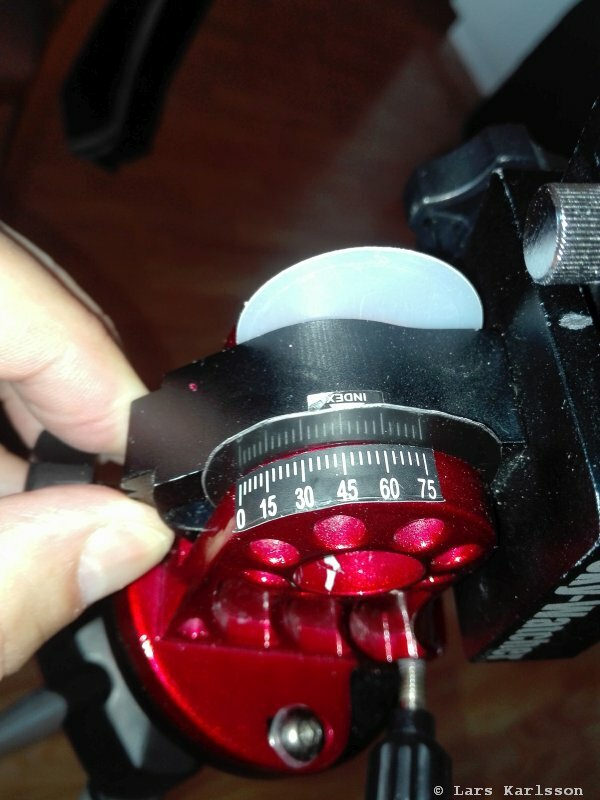 I'm not sure if it works direct after this modification and that I can lock the wedge altitude safely, maybe I have to test with different materials and thickness of the washer. Now I have replaced the other washer with a thicker one. I feel that it's stable enough now, but maybe washer of metal had been even better.